It’s the all too familiar customer experience. We’ve all been there. Traditional customer service is dead. You’re not in charge of customer service anymore - your customers are, and they are fed up with long wait times, dropped calls, and agents who don’t understand or don’t care about their problems. And they especially hate having to repeat themselves over and over again. As we at Solvemate believe in offering the right help at the right time, we’ve collected the most staggering statistics about customer service into this handy infographic. Simply download it, or keep on reading for more insights about customer service. Do these numbers sound familiar? Solvemate's smart widget can help you turn the tide. Many of these problems stem from an underlying attitude in many companies: that customer service is just a cost centre - not a competitive advantage. And as a cost center, it’s as an expensive one, too: up to 90% of total costs in a support organisation come from labour, according to Gartner. Anyone working in the industry knows the value of great support, but there’s also an ample body of research showing that as a result of poor customer service, companies are losing billions in revenue. Let's take a closer look at the statistics, shall we? Most companies think they are delivering their customers exactly what they want. Unfortunately, this is far from the truth. In the well-reputed research by Bain & Company, 80% of companies think that they are delivering a superior experience, but only 8% of their customers feel they are getting superior service. The gap is staggering, and the problem isn’t that businesses are not trying to be customer centric. The first issue is actually a classic business paradox: many growth initiatives tend to worsen the service quality, and as a result, the customer experience. There's also another, simple reason: it's difficult to build good relationships. Understanding customers is not easy, and the increasing complexity in supply chains and products makes it hard to deliver & keep the promises you make. Your customers are also expecting more and more from their experience, every year. It takes a company on average 12 hours and 10 minutes to answer a customer service request. 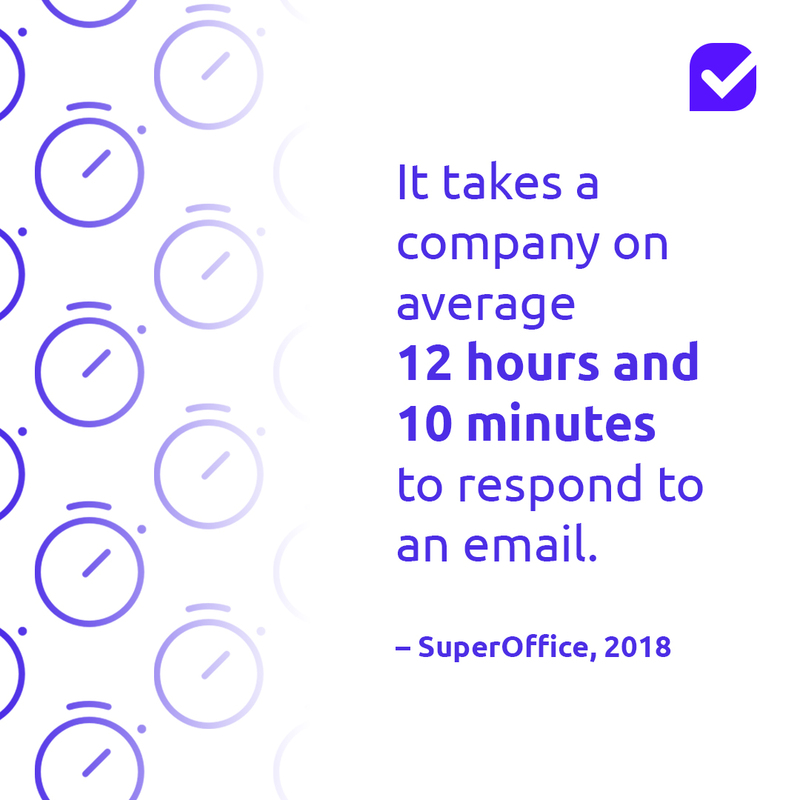 This is put to better context in the research conducted by Toister Solutions: a whopping 44% of customers expect to receive a reply within only 4 hours. Adding insult to injury, Super Office found out that 62% of companies simply don't answer customer requests - at all. It's easy to see why consumers have no patience - being patient simply does not pay off. If you are not meeting the expectations of your customers - you are letting them down. Disappointed customers tend to leave for competitors. In fact, in many studies, fast response time remains as the most important attribute of the positive customer experience. If a four-hour response time sounds unattainable to you, don't panic - in this day and age, there are actually solutions. In particular, what is called customer self-service. 3. Hold time: How long are customers willing to wait? Waiting on hold to customer service is a universally frustrating experience. 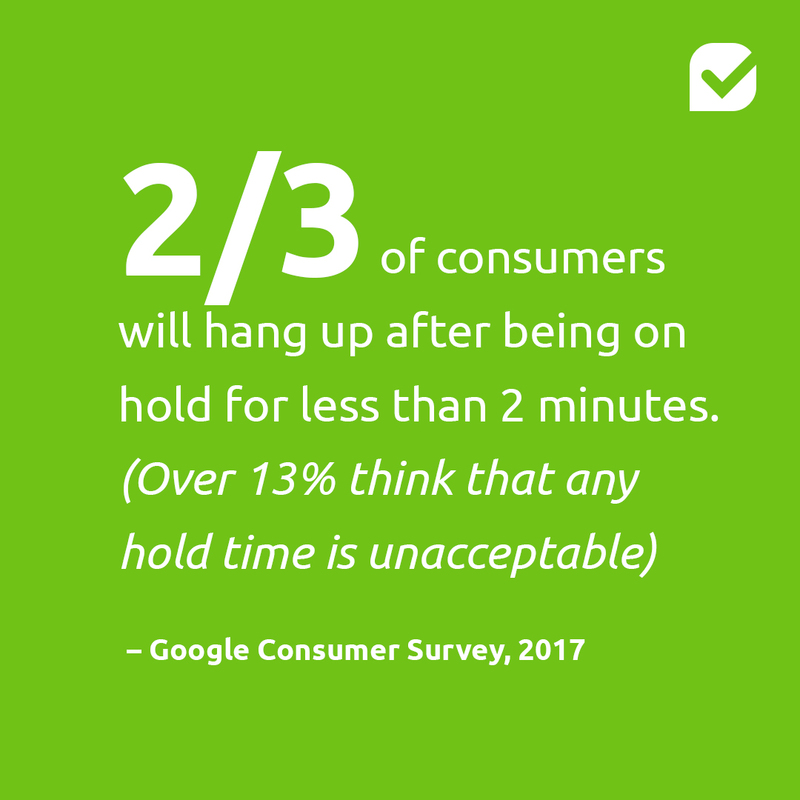 Nearly 2/3 of consumers will hang up after being on hold for less than 2 minutes and over 13% think that any hold time is unacceptable. According to a research from Voice Responce Inc., of those who hang up, 1 in 3 never call again. Phone service generally gets a pretty bad rap: in the 2015 Consumer Reports issue, the inability to reach a live agent was listed as the top complaint amongst consumers. TalkTo and ResearchNow study says that an average consumer will spend 43 days of their life on hold - to customer service. Long phone queues test customer loyalty - a rather risky game to play. 8/10 consumers are likely to go to another company as a result of poor customer service. This number should be an absolute top priority in companies, considering that it costs five times as much to attract a new customer, than to keep an existing one. It's a no-brainer: neglecting your existing customers means you will lose them. So what makes for bad customer service? 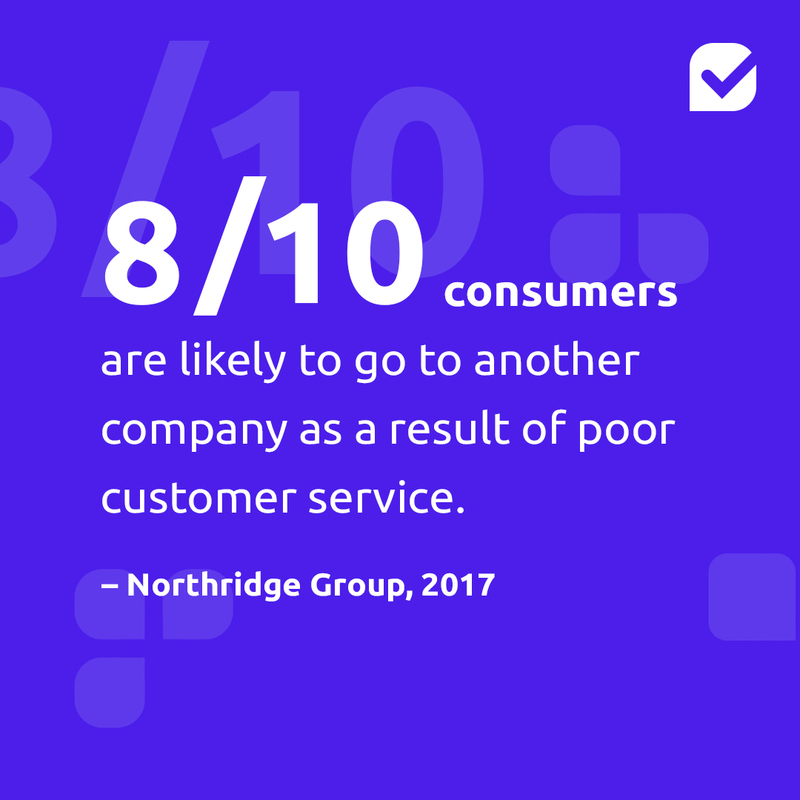 According to the Northridge Group, more than two in three consumers often encounter longer than expected wait times, find it hard to navigate the automated help system, or experience an inability to reach a human agent. Nearly two-thirds report being asked to repeat their problem again and again. Those would be some first pointers to look at in your organisation. 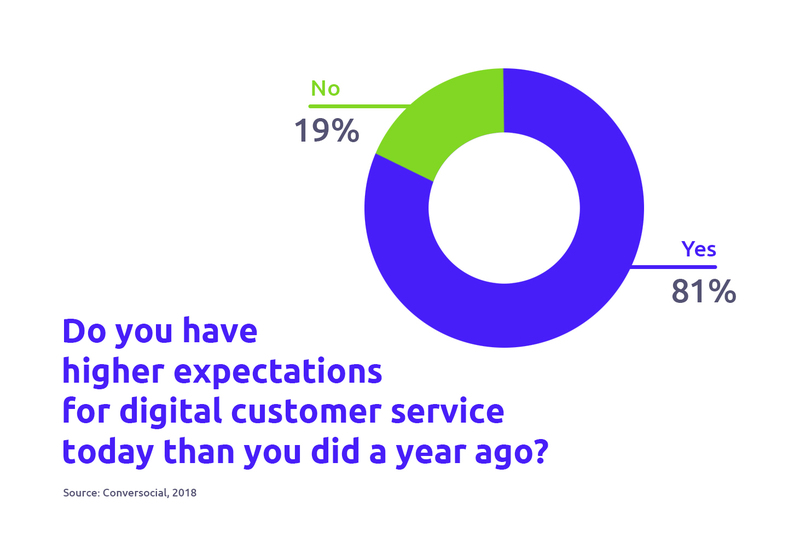 81% of consumers say that their expectations for digital customer service are higher today than they were a year ago. One of the most important aspects of meeting these demands is increasing the speed of resolution: as consumers navigate in your omni-channel support universe, your customers are likely to get in touch with you via various touch points. In fact, 36% of consumers will change the contact channel if their problem is not dealt with within an hour. This naturally increases the number of interactions, which in turn increases the service costs related to a single issue. This trend is also going to continue as the younger demographics are more prone to channel-hopping. From the Millennials, 44% will switch channels already within one hour, and 21% within just a few minutes. There’s an obvious mismatch between what is feasible for companies from cost perspective, and what consumers expect. And just to be clear: these expectations are hard to meet. When companies grow, customer service usually takes the first hit. It's a challenge to hire and train new employees fast enough to keep up with the demand, and as the service quality sinks because of this, the staff overhead keeps growing, often incurring other costs on the side: bigger offices and other required infrastructure. Customers are forced to leave service providers they are otherwise perfectly happy with, because they cannot rely on the company to take care of them when they are in need. Your honed, tested & fine-tuned product is simply not enough, if you repeatedly disappoint your customers. For many companies, the most attractive path is to look into customer self-service, and in particular to customer service automation. Solvemate can help you achieve it. As long as this mismatch is not dealt with, both sides are losing - and we really need a win-win. Our customers have already deflected >80% of their customer support requests. © Solvemate 2018. All rights reserved.